Paguristes cadenati Forest 1954, the Scarlet or Red-Legged Reef Hermit. Tropical West Atlantic. To one inch in length. Red carapace and legs, eyes green, on yellow stalks. Roatan photo. 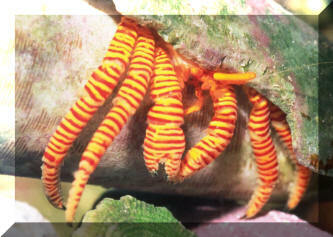 Trizopagurus (Ciliopagurus) strigatus (Herbst 1804), the Striped or Halloween Hermit Crab. Indo-Pacific and Red Sea. To a little over two inches in length. Nocturnal. 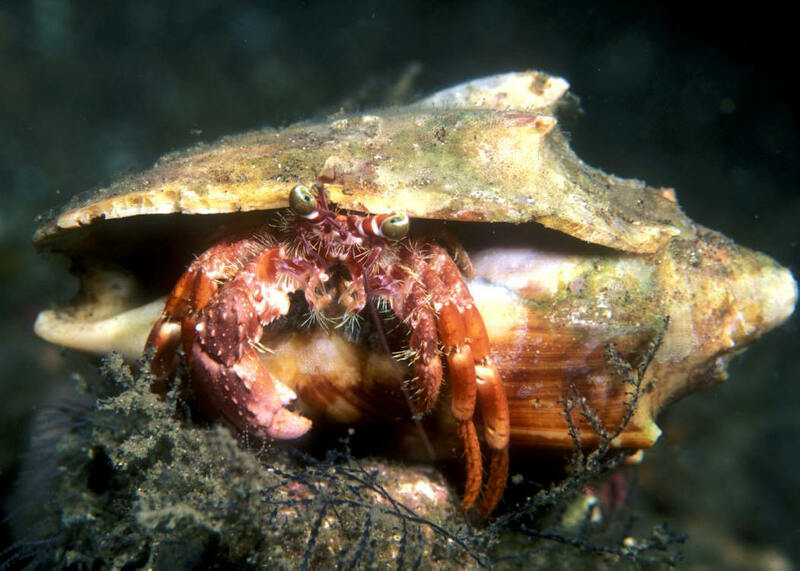 Lives in empty Cone shells. Feed on live and dead animal material. Aquarium pic. Dardanus lagopodes (Forsskal 1775), the Blade-eyed Hermit Crab. Indo-Pacific, including the Red Sea. To a little over two inches in length. White eye stalks, body mottled in maroon, brown, covered with white-tipped bristles. This one in N. Sulawesi. 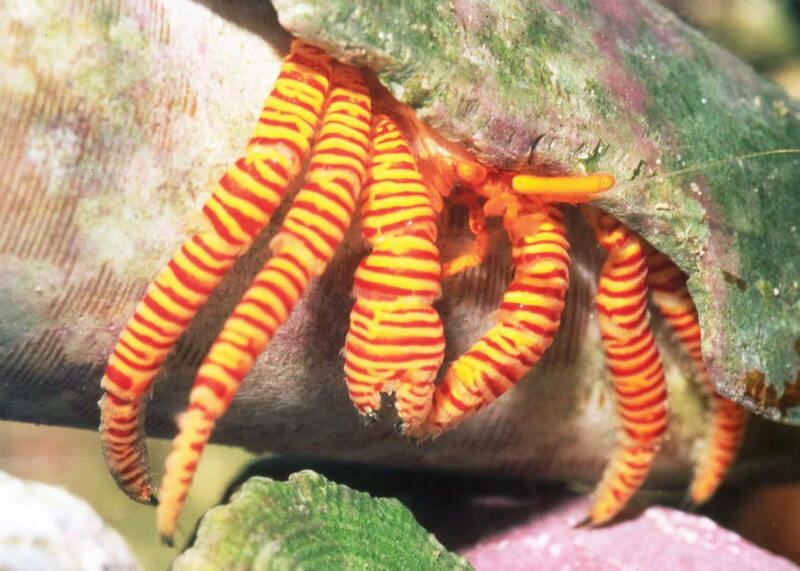 Dardanus pedunculatus (Herbst 1804), another Reef Hermit Crab. Indo-Pacific. Often with anemones placed on its movable home/shell. To a little over two inches in length. Spiny chelipeds, red and white striped eye stalks are definitive. Sulawesi pic. S/b left handed.... ?